Dedication to vacation! We understand your need for Wi-Fi connection. Please enjoy complimentary high-speed Wi-Fi at the Beacon South Beach Hotel on Ocean Drive. You will be able to use it in your room as well as in the lobby, and other public areas. Forgot password? Our front desk team will be happy to help. Call 305-674-8200 or dial 0 from you room. Complimentary breakfast is included with your rate, and it's served from 9 am to 11 am daily. Please pick up your breakfast voucher at the front desk in the morning. Coffee? Yes, we offer Starbucks brand coffee to our guests, and it is served in the mezzanine from 7 am till noon. What are VIP line access passes? Beacon Hotel offers guests VIP line access passes to various night clubs in the area. VIP line access passes are dropped off by the club promoters, so that our guests can enjoy South Beach nightlife. These passes are good for VIP line access (shorter line), and often grant free access or reduced fee access before 11 pm or midnight. Please inquire at the front desk. Can you store my bags? Yes, we can store your luggage the day of arrival and the day of departure, for a few hours, leaving you free to explore South Beach. Do you have parking? Valet parking is available for $25/day ($27/day as Oct 1, 2016), available 24 hours/day, with unlimited in and out service. Can I request early check-in? While standard check-in time is 3 pm, Beacon Hotel always strives to accommodate earlier check-in requests from our guests. Occasionally, we may have selected rooms ready at noon or 1 pm, so please stop by the front desk when you arrive, and ask to add your name and your phone number to our waiting list. It is on first come, first serve basis. How late is late check-out? Depending upon availability the morning of your departure date, we may be able to extend your check-out time till 1 pm. Please inquire at the front desk. What's there to do in South Beach? 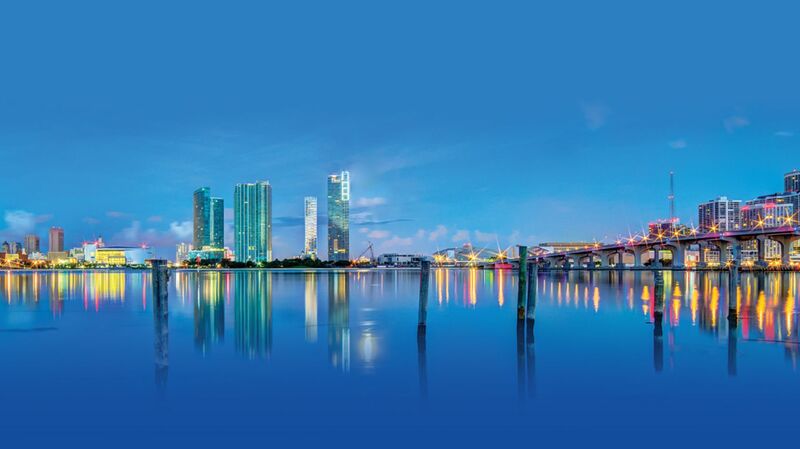 There is plenty to do in South Beach! You can enjoy white sand and blue waters across right across, or take selfies with picturesque lifeguard stations along the beach (they are iconic to SoBe). Rent bright colored convertible and cruise down Ocean Drive and Collins Ave.
Take City & Boat Tour to see the best of Miami or take a ride on Double-decker bus. Duck Tours is also great for on land and at sea sightseeing. Hit the clubs that stretch along Washington Ave - Miami is famous for its nightlife! For great local info and activities download Moncierge app or visit Moncierge console in the lobby. Enjoy your stay at the Beacon South Beach!